Explanation: There's nothing like it in our own Galaxy. 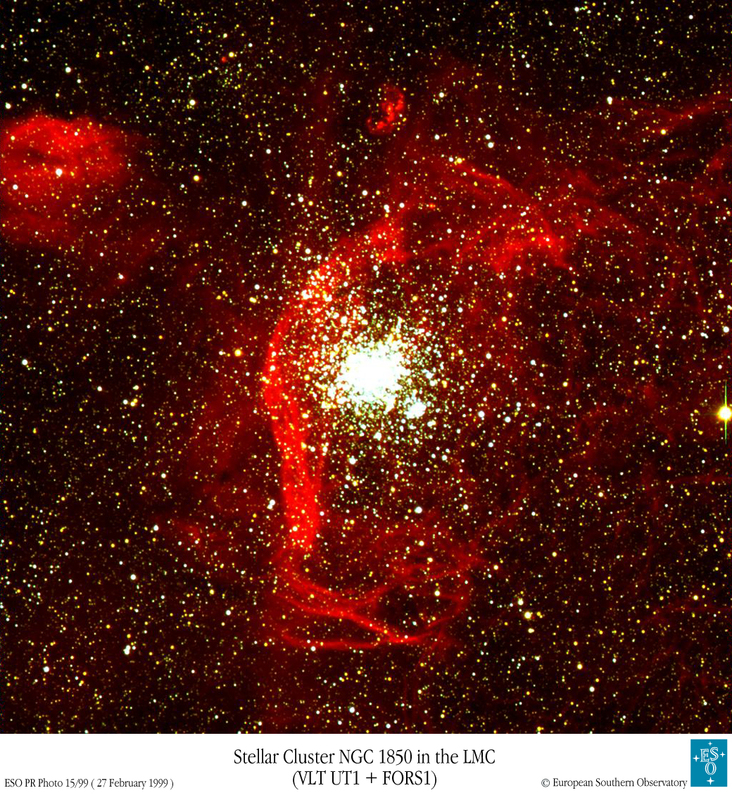 Globular clusters as young as NGC 1850 don't exist here. Globular clusters only 40 millions of years old can still be found in the neighboring LMC galaxy, though, but perhaps none so unusual as NGC 1850. Close inspection of the above photograph will reveal two clusters. Below and right of the main group of stars known as NGC 1850A is a smaller, still younger group dubbed NGC 1850B. 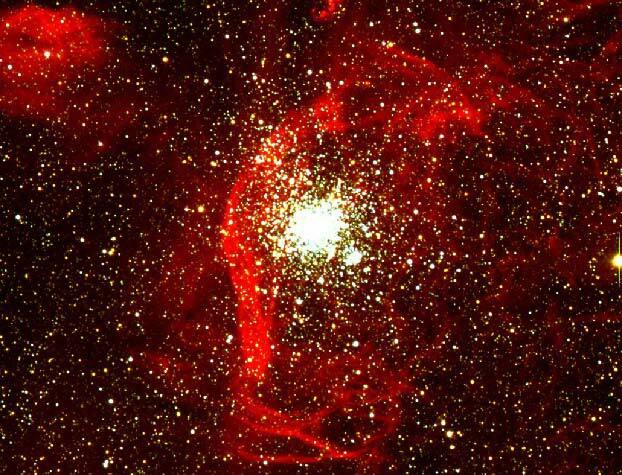 This cluster is made of stars only about four million years old. The large red cloud of gas surrounding the clusters may have been predominantly created by supernovae explosions of stars in the younger cluster. The red supernova remnant N57D is visible on the upper left.